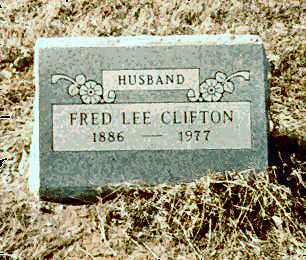 1 CLIFTON, Fred Lee (Photo) born Jul 19, 1886, Sleeper, Laclede Co MO; Married (Apr 22, 1908 Lebanon - Marriage Book I, Page 230, Laclede Co MO) MYERS, Maybelle Lillian (Photo); Divorced (May 11, 1929 Lebanon, Laclede Co MO) MYERS, Maybelle Lillian; Married (after 1929 MO) ROSE, Barcia "Bonnie"; died May 27, 1977, Kansas City, Jackson Co MO; buried Mount Hope Cemetery; Photo of tombstone; occ. Farmer, Truck Driver. 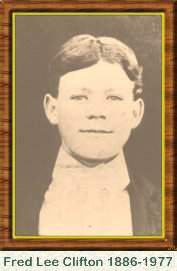 Photo of Fred Clifton, about age 10. 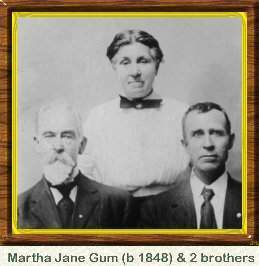 3 GUM, Martha Jane (Photo) born Sep 16, 1848, Miller Co MO; Married 1st (Jul 28, 1867 Miller Co MO) CREEKMORE, Calvin B.; Married 2nd (Jul 9, 1871 Laclede Co MO) ARCHER, Thomas Joseph; Married 3rd (Oct 31, 1885 Laclede Co MO) CLIFTON, Isaiah S.; Divorced (1890 Laclede Co MO) CLIFTON, Isaiah S.; Married 4th (Mar 25, 1892 Laclede Co MO) CLIFTON, Isaiah S. (again); Divorced (Feb 11, 1911 Lebanon, Laclede Co MO) CLIFTON, Isaiah S.; Married 5th (17 Feb 1921 Webb City, Jasper, MO) WISEMAN, James Riley; died Jan 31, 1940, Strafford, Greene County, MO. Buried Mount Pisgah Cemetery, Webster Co, MO. Her obituary and a short history of her life. 4 CLIFTON, Isaiah (Sr) born between 1790 and 1793, Casey Co KY; Married (Sep 19, 1815 Casey Co KY) CANADAY, Sophia; died before Nov 8, 1841, Liberty Twp, Casey Co KY; occ. Farmer/Preacher. Inventory and Appraisement Bill of his estate. 5 CANADAY, Sophia born May 3, 1798, Campbell Co VA; Married 2nd TATE, Charles P.; died between 1860 and 1863, Casey Co KY.
6 GUM, Elijah born 1786, Nelson Co (later Green Co) KY; Married (Feb 25, 1807 Green Co KY) BRUNER, Susanna; Married 2nd (roughly 1845 Miller Co MO) (WYRICK? 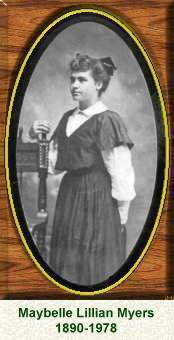 ), Sophia; died Apr 20, 1861, Benton Co MO; occ. Farmer/Laborer. 8 CLIFTON, Job born between 1765 and 1770, VA?/NC? ; Married circa 1784 (??? ), Polly?Sallie? ; Married 2nd (May 13, 1804 Lincoln Co (later Casey Co, KY) KENDRICK, Jane; Married 3rd (after Nov 7, 1844 Casey Co KY) LANGDON ?, Polly (Mrs. Perrygrew); died before Sep 18, 1848, Liberty TWP, Casey Co KY; [Note: Moved to from NC to KY about 1792]. His Will. 9 ?? ?, Sallie?Polly? born roughly 1770; died before 1804(?). 10 CANADAY, John born Mar 14, 1763, King George Co VA; Married (Mar 26, 1787 Campbell Co VA) SHEARER, Mary; died Dec 15, 1836, Montgomery Co IL; occ. 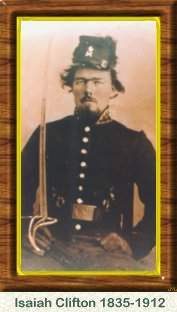 Farmer/soldier; [Note: Rev War Patriot - also spelled Cannaday/Kennedy/Kenaday]. His Pension Affidavit. 11 SHEARER, Mary born circa 1760, VA; living Jan 1, 1844, Hillsboro, Montgomery Co IL. 13 DEVER?, Lydia?? born circa 1740, VA; died before 1793, Nelson Co (later Green Co), KY; [Note: Not positive her name was Dever, but her brother, who is not known to have married, is listed in documents as brother-in-law to this Jacob Gum]. 24 GUM, Jacob born 1714-1718, Sussex Co DE; Married (before 1740) CLAYPOOL, Sarah; died before Oct 27, 1783, Rockingham Co VA; occ. Yeoman. 25 CLAYPOOL, Sarah born circa 1716, Sussex Co DE; died circa 1799, Rockingham Co VA; [Note: Name sometimes spelled Claypoole]. 26 DEVER, Charles born roughly 1715; living 1740. 48 GUM, John born roughly 1677, Sussex Co DE; Married ?? ?, Frances; died after 1718-before 1731, Sussex Co DE. 49 ?? ?, Frances died DE; Married 2nd (before 1735) Griffith Jones. 50 CLAYPOOL, Jeremiah born roughly 1685, Sussex Co DE; Married (circa 1709/10 DE) SHEPARD, Sarah; Married (before 4 Sep 1742 Sussex? Co DE) DAVOCK, Mary (Mrs. Wm Russell); died before 9 May 1745, Sussex Co DE. 51 SHEPARD, Sarah born roughly 1690, died before 4 Sep 1742, Sussex Co DE. 88 SHEARER, Mathew born roughly 1693, Ulster, County Armach, Ireland; Married (before 1713) ?? ?, Sarah; died circa 1770, Lincoln Co NC. 89 ?? ?, Sarah born roughly 1697, Ireland; died before Nov 25, 1786, Lincoln Co NC. 96 GUM, Roger born England? ; died before Jun 2, 1696, Sussex Co DE. 100 CLAYPOOL, Norton born circa 1640, County of Northampton, ENGLAND; Married (12 Jul 1670 in Greenwich, England) ?? ?, Rachel; died 1688, Whorekill in Lewistown, Sussex Co DE; occ. Member of the Assembly, Clerk of the Peace Quarter Sessions. 101 ?? ?, Rachel (CLAYPOOL) born circa 1640, ENGLAND; died circa 1717-1720, Sussex Co DE; Married second: FIELD, Nathaniel. 102. SHEPHEARD, Hercules born 1650 in VA; married bef 15 Feb 1683 in Sussex County, DE; died aft 1694 in Lewes, Sussex County, DE. 103. AVERY, Mary born 5 Apr 1667 in Sommerset, Maryland; died aft 9 Aug 1709 in Sussex County, DE. 206. AVERY, Capt. John born Aug 1632 in Queen's Head Alley, Wapping, London, England; married 21 Aug 1663 in Charlestown, Massachusetts Bay, British America; died 16 Nov 1682 in Sussex County, DE. 207. BROWNE, Sarah born est 1645; died aft 25 Aug 1690.
Credit is due for much of the earliest GUM information to Muriel M. Hoffman, author of "Leaves from the Gum Tree", published in 1984. Thanks goes to Gary Barr for providing me with her address when I thought I never would find it. - Thanks Gary!